Blogs and online tutorials are full of helpful tips for small business owners who want to start their WordPress blogs and fill them with home-run content. On the other hand, building an eCommerce site might prove to be a bit more complex. This is especially true for owners who are stepping into the world of online retail for the first time. 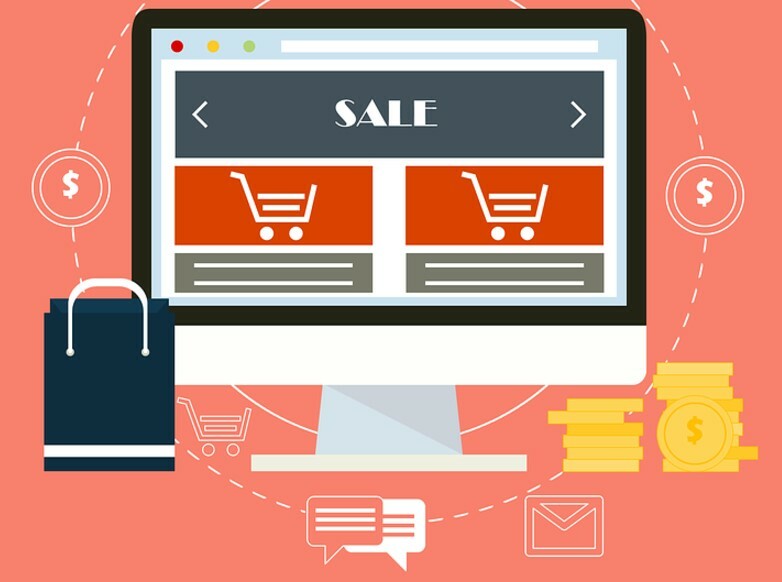 These 8 steps are a crash course in creating an attractive eStore which connects with your consumers. Unless you already have a reliable web hosting partner, this is the first thing you should do. A good host will provide you with a domain name and suggest an ideal package for your business needs. After that, you need to decide if you will use a standard extension, such as .com or .net, or a new Top Level Domain (TLD), like .lounge of .travel. You mustn’t forget that although a domain name is primarily your online name, it can affect your credibility and status for years to come. Among many eCommerce platforms, tech experts recommend Magento, Shopify and WooCommerce. An advantage of using a hosted online solution like WooCommerce is that it simplifies your setup process and gets you a domain name from the same vendor. Instead of having to switch platform as your business grows and the customer base expands, choose an option which is intuitive, adaptable and scalable. TIP: WooCommerce is already equipped with PayPal, Bankers’ Automated Clearing Services (BACS) for debit and credit as well as cash on delivery. It also provides several extensions for different payment gateways. Check This Post:- 8 Amazing WordPress Plugins that You Should Install right away! Combos like WordPress & WooCommerce are save time and don’t require any coding skills either. As it is a WordPress plugin, they offer special services and pricing for their customers who use WooCommerce. WordPress will now automatically complete the installation, notifying you when it is finished. Now you can proceed to creating your pages which is really as simple as clicking the “Continue” button over and over. Now, this is one the trending topics nowadays. People around the world curiously talking about SSL/HTTPS, but for an eCommerce business it is most essential. By implementing SSL security on your eCommerce website, you are actually ensuring customers’ important information with industry standard protocol. Your business must comply with Payment Card Industry Data Security Standards (PCI-DSS) to accepts payments from clients. To protect your website, you must install SSL certificate. Company like CheapSSLShop.com can help you get SSL Certificate at Cheapest price. Once the pages are created, you need to input your locality so that the system can display the information properly. Here you are basically answering prompts like money currency and measurements. The weight and package dimension guidelines are important for both domestic and international shoppers. This step allows you to determine tax rates as well as shipping and handling policies. Here you can set domestic or foreign limitations on product sales, as related to weight, item type, etc. If tax rates are not your expertise, WooCommerce comes with an intuitive feature that gives suggestions based on your locality. Those details are something you can always fill in later. This is where you decide which payment gateways your customers will have on their disposal. These include standard options like Cash on Delivery (COD), Automated Clearing House (ACH) and PayPal, or non-traditional payment options, provided by add-ons that you can install later. Next, WooCommerce can set product data and create your first product pages, or you can add individual products manually, one at the time. Your job doesn’t end here. When you have installed the software, you’ve just built an online store. Now you need to customize your site so that it stands out from the competition and delivers engaging content and remarkable user experience. Following these suggestions will improve your chances to affiliate a mob of customers with your eStore. The number of Facebook users equals roughly the population of China. About 7 out of 10 adults use some kind of social media every day. Make sure to add social media buttons to your site. While it is relatively easy to install eCommerce software and build a site using WordPress, it is the customization that makes it tick. Understanding your prospective customers’ needs and making all the adjustments is what separates a successful online store from an attempt. Myself, Vaibhav S is a Founder and Editor-in-Chief of TechnoGiants, working Software Professional, and an avid lover of Software's and Web Services. I love computers and also love to write and share about Tech-related Stuff, Computers etc with others. The Apple iPhone 8: Everything We Know About It! Anzael on How Social Media Can Hurt Your Business? TechnoGiants ©2011-2018 | Editorial by MysteryThemes. How Social Media Can Hurt Your Business? How to Export Email Accounts from Windows Live Mail to Outlook 2013, 2019 & All Other Editions? How Do I Convert an OST File to a PST File Format? 7 Simple Principles to boost Loading Time of your Website!